For those of you missing the quick-witted, fast-paced political satire of The Thick of It or Veep, This House will provide a welcome stop-gap from the writer of Olivier Award-winning Labour of Love. The masterfully written play by James Graham heads to The Lyric Theatre in The Lowry in Salford from April 24 to 28, but I caught it slightly earlier on its national tour at Birmingham Repertory Theatre. Writer Graham has become a name synonymous with astute political drama and comedy. His play Labour of Love, charting the historic ups and downs of the Labour party, won the Olivier for Best New Comedy this year and his other works include Ink, Monster Raving Loony and Channel 4's Coalition, which won the RTS Best Single Drama prize in 2016. 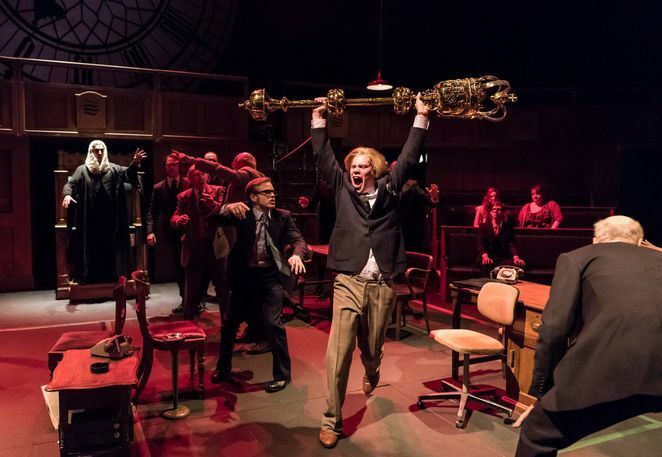 This House, which was also nominated for an Olivier Award for Best Play after first emerging in 2012, is a scintillating piece of theatre that brings alive the madcap antics of MPs and party whips during the hung parliament of 1974, when Labour led the country with a minority government. 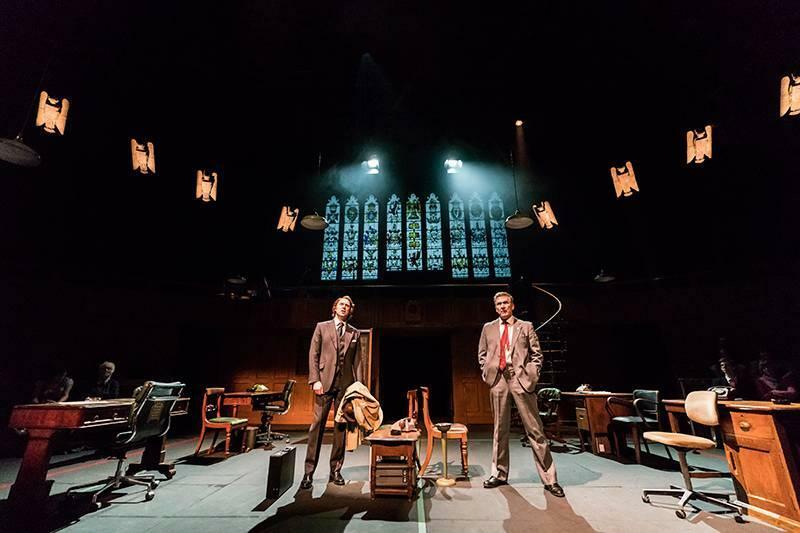 It's a joint production by the National Theatre and Chichester Festival Theatre that manages to weave the audience through the history of the time (with some dramatic license) while subtly explaining the technical features of Westminster in an interesting, humorous way. Issues like pairing during votes and the calculations of how Labour are to pass bills are part of the riveting narrative and occasionally even highlighted on blackboards by the whips. It's a clever touch, as is having the Speaker Of The House announce every character as they enter the whips' offices. 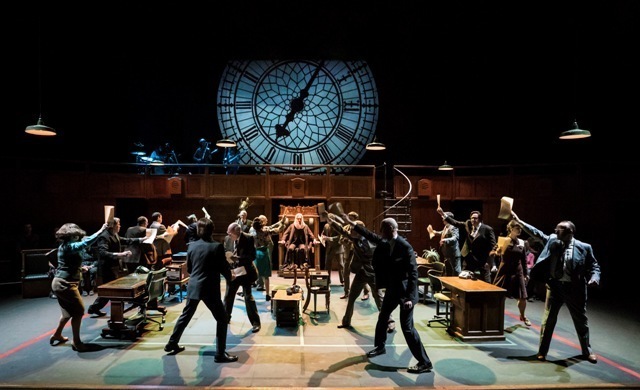 What's special about this play is that it brings out the human stories behind Parliament. With the focus on the party whips in both the Labour and Conservative offices, it's the constant comic banter between them, along with their tactics to steer and discipline MPs that make this such a joy. There's taunting and jeering between these opposing sides, but there's also a degree of respect and accord to follow Westminster's traditions, which gives the play an emotional depth. This especially figures more heavily in the second act when the comedy takes a back seat to the moral dilemmas faced across the board. James Gaddas and Matthew Pidgeon on opposing sides in This House. For the politics buffs, there's real-life MPs and situations weaved through the plot - the rise of Margaret Thatcher in the background, the fall from grace of Liberal party leader Jeremy Thorpe and the gusto of strong-minded union supporter Audrey Wise, arrested for protesting on a picket line. The antics of these MPs and others make for a great show and some of the funniest and most bizarre twists in the play are the ones based on real events. Moments like MP John Stonehouse, who tried to fake his own death (played by an excellent Orlando Wells). Doing the play justice is a well-cast selection of actors and there are strong performances all round. 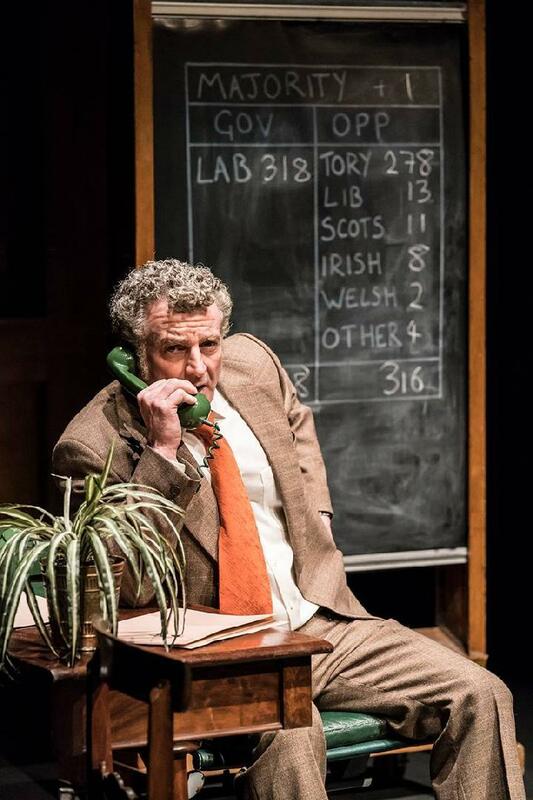 On the Labour side, there's a particularly captivating performance by Martin Marquez as chief whip Bob Mellish - who also later proves he has quite a dazzling singing voice. James Gaddas, a familiar face on TV shows like Waterloo Road and Holby City, plays his deputy Walter Harrison with a fervent Yorkshire accent and an ease that makes the character very likable. Of the Tory whips, William Chubb has been cast perfectly as sneering chief whip Humphrey Atkins while Matthew Pidgeon plays his deputy Jack Weathrill with a down to earth sense of honour. Meanwhile, the cleverly designed set is like a stage within a stage. There's the two whips' offices, back to back at centre stage, which becomes a larger House of Commons, which in turn becomes Westminster Hall. There's even a Speaker's Chair and the large face of Big Ben looming menacingly over all the proceedings. Despite the pace slowing slightly after the interval, the drama is kept fresh with a few musical interludes from a live band. There's even a line dancing routine by the MPs that portray the day to day proceedings in the House and a rock number when the Speaker is dragged to the House of Commons. This House is a captivating comedy on the riotous political shenanigans of Westminster, so 'order, order' your tickets now.